To mark World Water Day, IBM and DCU Water Institute have today announced a collaborative research pilot to leverage Internet of Things (IoT) technologies for environmental water monitoring and management. The deployment of DCU sensors with IBM’s machine learning and cognitive IoT technologies will aim to help protect and conserve natural resources and address environmental management issues such as water quality for both freshwater and marine environments. IBM’s cognitive IoT technologies are able to provide deep learning capabilities for sensor platforms, which ensure quality and reliable data capture under a range of environmental conditions. Advanced analytics embedded in IoT-based sensor platforms, or the sensors themselves, can help detect subtle trends or early detection of environmental changes that may be crucial to public health and safety or remediation efforts. The collaboration brings together IBM Research efforts in the area of cognitive IoT-based environmental solutions with DCU’s Water Institute expertise and leadership in environmental sensing via the university’s National Centre for Sensor Research (NCSR). As a part of the program, IBM has joined the DCU Water Institute Industry Advisory Council. “Over the next few years, we believe that Internet of Things technologies will play an important role in helping protect the environment and natural resources. At IBM Research, we are excited to leverage IBM’s expertise in cognitive and IoT environmental monitoring and management with the DCU Water Institute to help advance the future of water management,” said Harry Kolar, Distinguished Engineer, IBM Research. 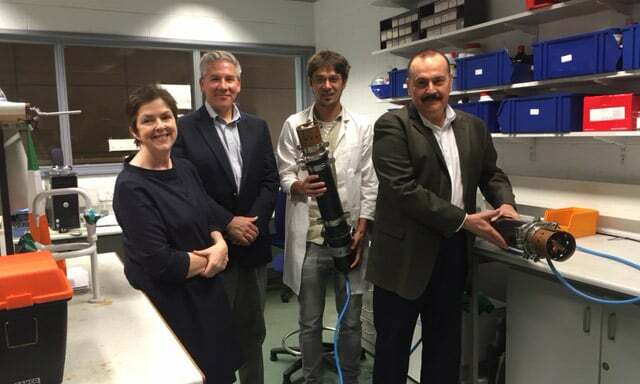 The collaboration will focus on newly developed DCU sensor technologies that can have the potential for monitoring several key aspects of water quality at costs significantly lower than current commercial technologies. This new generation of sensors, when combined with IBM’s environmental IoT platform may eventually help provide significant benefits for water management on a global scale. The DCU Water Institute aims to develop technology-based solutions to facilitate greater water stewardship, translating technologies developed in the NCSR to the water domain. DCU Water Institute scientists and engineers are developing novel sensor and data analytics technologies to improve how we monitor water quality.